PhD in Computer Science and Associate Professor in the Department of Engineering Services and Information Systems UPC expert in Big Data and Business Intelligence. 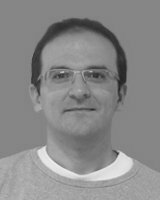 Oscar Romero is the coordinator of the UPC Erasmus Mundus IT4BI (Information Technologies for Business Intelligence). He currently teaches courses on relational databases and no relational (also known as NoSQL), Open Data and Master in Business Intelligence and Data Mining IT4BI & Business Intelligence, as well as the degree of computing. He is also responsible for Big Data Management postgraduate and Analytics UPC School. His research focuses on the automation of the complete cycle of decision processes (or Business Intelligence) for inexperienced users with no technical knowledge (also known as BI 2.0, or Situational Exploratory BI BI, among others) as well as Big Data Management. More specifically, their interests center on the automation of design/implementation/tuning systems decisional (schema and data flows), the use of semantic tools (typically, the Semantic Web) for automation these processes and the design and optimization of NoSQL systems. He has published a lot of articles in journals and research conferences in these areas, as well as several book chapters, and acts as an external reviewer in several conferences/journals. He has also given talks at international symposia and research groups and conducted two research visits to the Univ. Free Bozen-Bolzano and the Université François Rabelais de Tours. His collaborations include industrial projects with leading companies in BI/Big Data such as SAP, HP Labs, Euranova and WHO, among others.